Secret Slots mobile casino is an instant play casino with no download needed. The UK licensed slots site runs on the Dragonfish platform and offers more than 100 games including in-house content from 888 studio. With registration in less than 2 minutes and tips on games that might pay out, SecretSlots.com shouldn’t be a secret! Deposit £10 and get up to 66 free spins using promo code TREATS. From gaming expert PariPlay, Pong is based on the classic game from 1972. The slot is a tribute to the Atari-era and is filled with wilds, most notably a multiplier wild. The music is very cool! Cash Stax is powered by SG Interactive and is a classic Bar X slot. The game allows players to increase pay lines by selecting a big bet option. Pixie Wings from Pragmatic Play features a wild symbol and free spins game. The cool thing about the free spins is that players can choose from 5 different rounds. Live immersive mobile roulette is an award-winning game from Evolution Gaming. The spec is top-notch while multiple camera angles provide players will full coverage. If you’re a fan of medium-sized mobile casinos and slot sites that pack a punch, Secret Slots is probably for you. I’m conducting this review using an iPhone and despite the small screen, this casino looks good. It’s easy to use and one of the big attractions is mobile slots. At 100 plus games, it’s not the biggest collection, but they’re top titles and there are some huge jackpots amongst them. Another highlight is exclusive slots from 888 studio. Players can find a good range of new mobile slots at this casino too. Secret Slots launched in 2014 and is one of the more senior Dragonfish casinos. Using the highly-interactive Dragonfish Casinoflex platform, mobile players get speed and security. 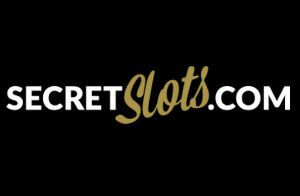 Other features at SecretSlots.com include secret hot & cold tips, rewards and daily free spins. The mobile casino itself offers a range of new games and classic slots from top developers. Also included is roulette and other live table games, notably from Evolution Gaming. Secret Slots features a high number of jackpots and slots with big payouts. Game RTP (payout percentages) range from 80% to 98.9% across the casino. Secret Slots is owned by Cassava Enterprises Limited, a wholly owned subsidiary of 888 holdings plc. Services in the UK are operated by 888 UK Limited, a company incorporated in Gibraltar. The casino is licensed and regulated by the UK Gambling Commission and Gibraltar Gambling Commissioner. Members at SecretSlots.com can enjoy a number of additional features. You can take advantage of exclusive promotions and the daily classic, a free slots game played daily to win prizes. Hot and Cold Games is another useful tool, it tells players which games are likely to pay out. Strong incentives to join include a fast-track VIP program, tailor-made bonuses and the initial welcome bonus. You can find details of the Secret Slots welcome bonus at the top of this review. What I also like to see during casino reviews is evidence of winners, this is always a good sign. Some of the recent big payouts at SecretSlots include £8,975, £6,032 and £5,458. This information is available on the home page. The Dragonfish Casinoflex platform offers more than 100 mobile games. The variety at Secret Slots includes online slots, jackpots and casino table games. Providers include NetEnt, IGT (Wagerworks) and exclusive in-house content from 888 studio. You can also play mobile live casino at the site. It’s pleasing to see a good number of new online slots that helps to keep SecretSlots.com current. It is a medium sized casino but concentrates on quality in terms of entertainment. There is something for everyone. Secret Slots is a UK licensed mobile casino and therefore meets a number of stringent requirements. This includes security. The entire slots site uses 128-bit SSL encryption to keep personal data safe and secure. Encryption technology also means that banking details and transactions are completely safe. If you’re worried about fair gaming, and we all care about this, there’s no need to be. Secret Slots is tested by an independent third party to show that all games work alongside their published payout rates. The proof is in the pudding, as all players can access this information. Payment methods at the casino include Wire Transfer, Neteller, PayPal, Maestro, Mastercard, PaySafeCard, Ukash, Visa and Visa Debit. The minimum deposit is £10. Dragonfish casinos run mobile games well and Secret Slots is no exception. If you’ve visited the casino on your smartphone or tablet you’ll see it does more than just the job. Highlights of this review include new slots, exclusive games from 888 studio and membership rewards. The added benefit of Hot and Cold Games tips is the icing on the cake for this medium sized casino.